Salman Khan's Tubelight was special for Shah Rukh Khan fans too because SRK had done a cameo in this film. Now according to media reports both the actors will be seen sharing the screen again. However this time Salman Khan will be doing a cameo in SRK's film. In Tubelight, SRK was seen playing magician Gogo Pasha character for a short period and that was enough for SRK fans to watch Tubelight in theatres. Although the film was not a big hit, fans were happy to see SRK and Salman in one frame. Sharing details about SRK's cameo in an interview, Salman said that they didn't do much to make SRK agree for the cameo role. 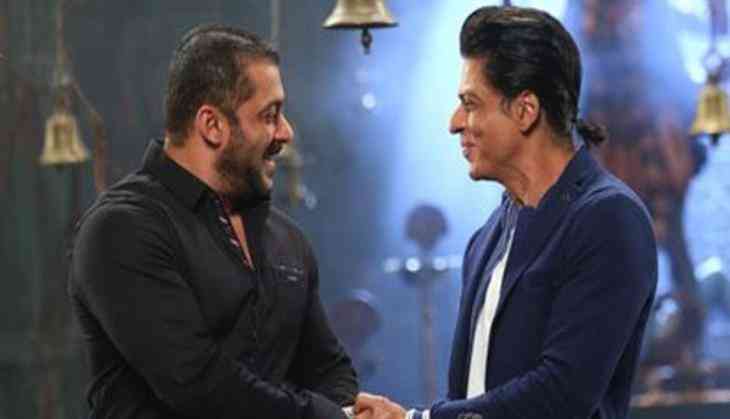 Now news is that SRK has approached Salman for a cameo in his next film. Even Shah Rukh himself has confirmed that Salman will be seen doing a cameo in Aanand L Rai's film. The 52-year-old actor said in an interview, there is a cameo role in Aanand L Rai's film and he wants Salman to do that role. Anushka Sharma and Katrina Kaif are playing leading character in this film. SRK has also mentioned that he has not contacted with Salman yet.